Protein is essential. It is the base building materials for the human body, as it is responsible for brain development and muscle growth, and is a vital part of a healthy diet. The benefits of protein bars are many, and consequently, there are many options available to people looking to supplement their diet with more of these valuable macromolecular structures. Everything from shakes to powders to yogurt can and have been packed with protein and sold as dietary supplements. The problem with the majority of these protein sources is balance. Many of them have an imbalance of protein to the number of fats, sugars, and carbohydrates contained within. While these serve a valuable role in keeping the body healthy, the kinds found in many protein supplements are too refined, or the amounts contained far exceed the recommended daily requirements for a low-carb diet. What’s worse is many powders and shakes contain far more protein than is needed, meaning diminishing returns of protein while still getting loads of carbohydrates and sugar. 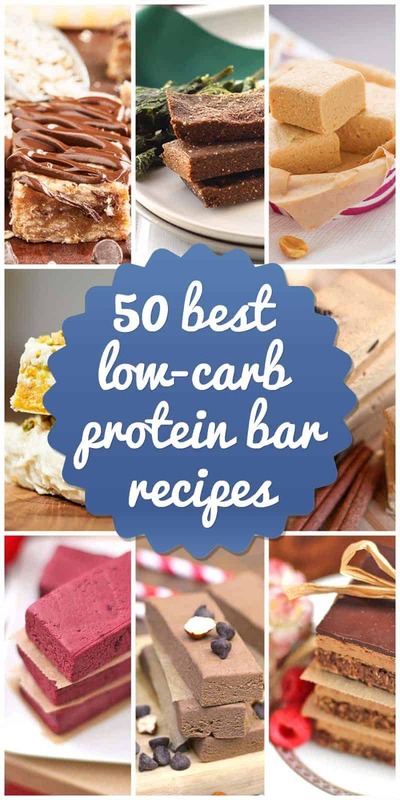 With that in mind, here is a list of 50 recipes for homemade protein bars that are high in protein but low in carbs. 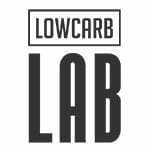 Looking for low-carb protein bars that don’t have a ton of ingredients and require hours of your precious time to prepare? These paleo-approved protein bars are easy to make as they are delicious! Grab a few key ingredients and whip up these almond-buttery one-bowl wonders in less than 30 minutes. 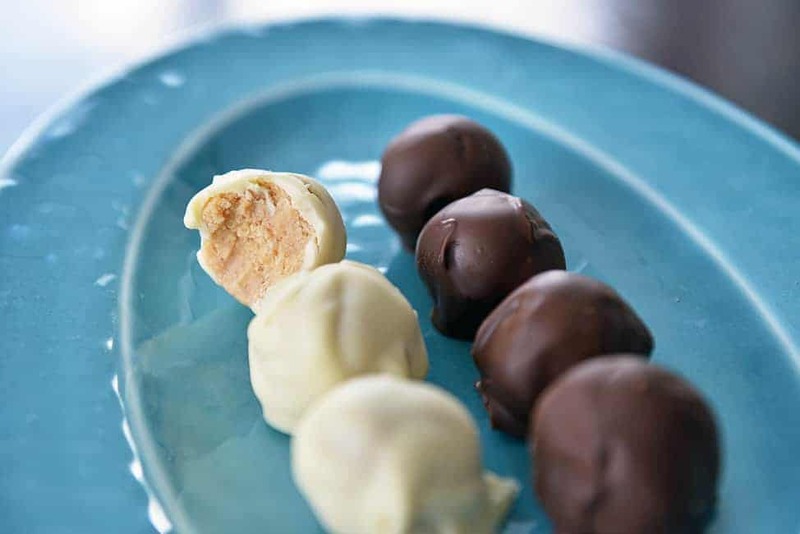 You’ll have a soft, chewy treat that you’ll want to make over and over again. Perfect for kids, post-workout, or even as a last-minute dessert option. The best part? They stay fresh in the fridge for up to two weeks! Similar in taste to the popular ice cream flavor from which it takes its name, these low-carb high protein recipes contain much healthier ingredients. It is nice especially for all the chocolate pretzel and peanut butter lovers out there. This is managed by replacing the milk and heavy cream found normally in this dessert with stevia, almond milk, and brown rice protein powder, all of which are terrific healthy foods. This protein bar idea is great for satisfying cravings and can satisfy even the sweetest sweet tooth. Who would have thought a Snickers bar could have low carbs! As its name implies, these homemade bars are similar in texture and taste to the classic chocolate bar. However, this protein bar is much healthier than those fatty, sugary chocolate confections. The inclusion of superfoods like dates, peanuts, and coconut flour into the recipe ensure these bars contain all the vitamins and minerals needed for a health-conscious individual, making them the best protein bar alternative to the real thing. 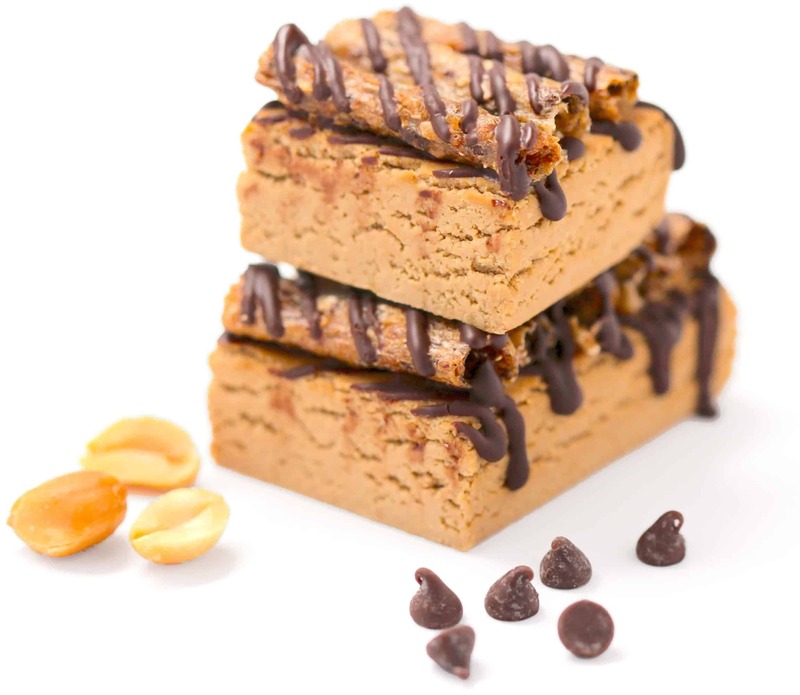 This is another protein bar recipe based on a pre-existing dessert: the classic hazelnut spread known as Nutella. Where this recipe differs from the original is in the replacement of high-fructose corn syrup and refined sugar with stevia and raw honey. Additionally, the sweet hazelnut flavor is derived from a mixture of whey protein, cocoa powder, and hazelnut butter. 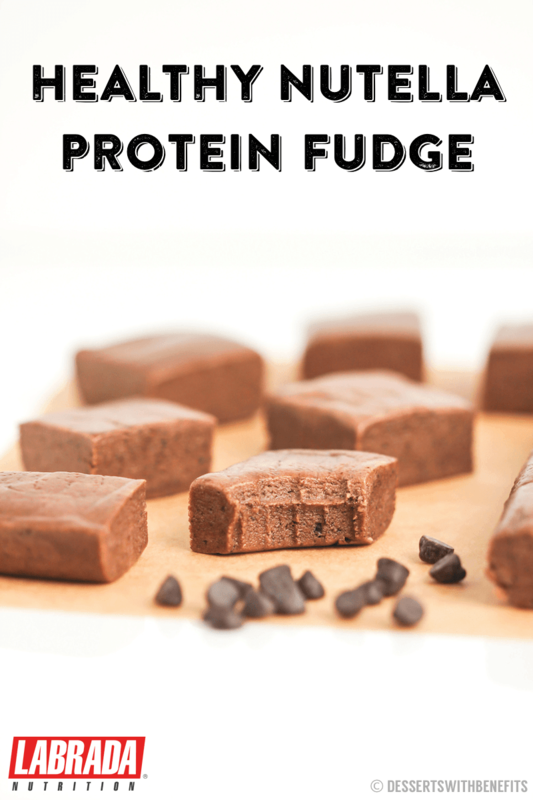 Packaged into dense fudge squares, these protein bars are small but very filling making them the perfect snack on a healthy diet. Pumpkin spice is a wildly popular seasonal flavor: nearly every product, edible or otherwise, offers a pumpkin spice variant during that special time of year. However, those who subsist on a diet of low-carb foods may find it difficult to find a pumpkin spice flavored foodstuff that can fit in their macros. With its use of almond milk, fat-free cream cheese and two types of protein, this delicious dessert manages to fulfill several dietary needs. The pumpkin pie spice and pumpkin puree give it that special flavor known to induce mania every winter making it one of the ideal low-carb foods. 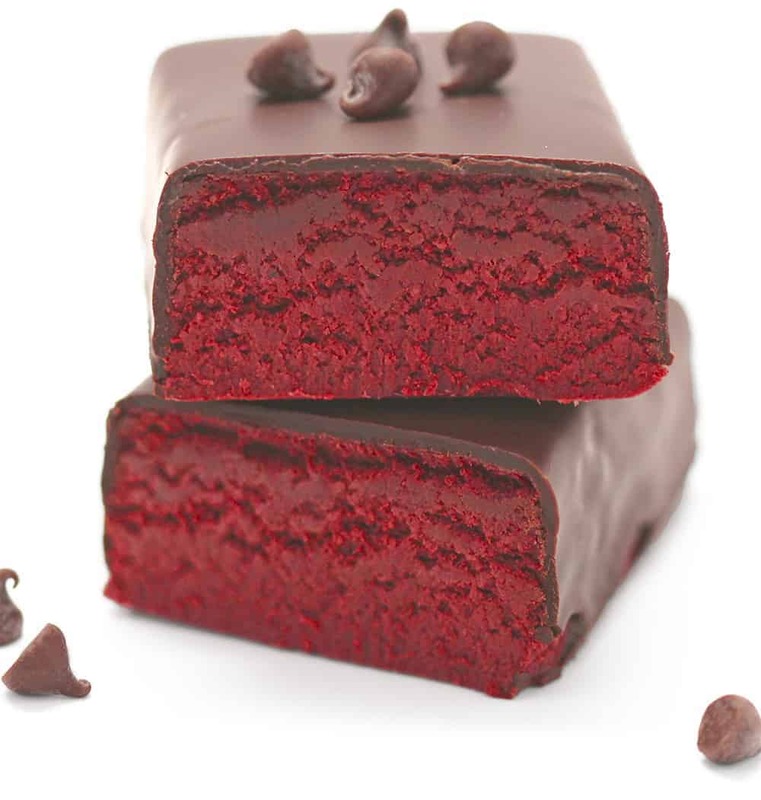 In addition to being terrific high protein low-carb snacks, these red velvet flavored fudge squares derive their red color naturally, with the use of beets. Coupled with the oat flour, almond butter, and brown rice protein, these flavor-rich treats are vegan, gluten-free, and refined sugar-free snacks that deliver the taste of red velvet without any of the harmful saturated fats and sugars. This recipe, in a way, is a paradox: a dessert healthy enough to be eaten for breakfast! As far as low-carb high protein recipes go, this is one of the simplest. No baking is required: simply combining the ingredients and refrigerating for a few hours will result in delicious bite-sized snacks packed with lean protein. 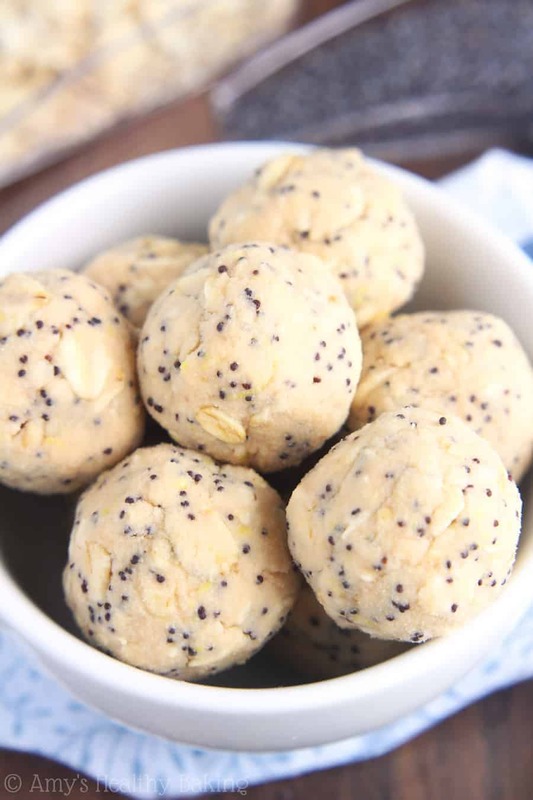 These ball-shaped bites contain lemon juice, oats, poppy seeds and protein powder, providing everything necessary for a low-healthy diet without the junk. The lemon juice and water hold these protein bites together while the lemon zest gives it a tangy taste. Making for a healthy, tasty gluten-free snack. 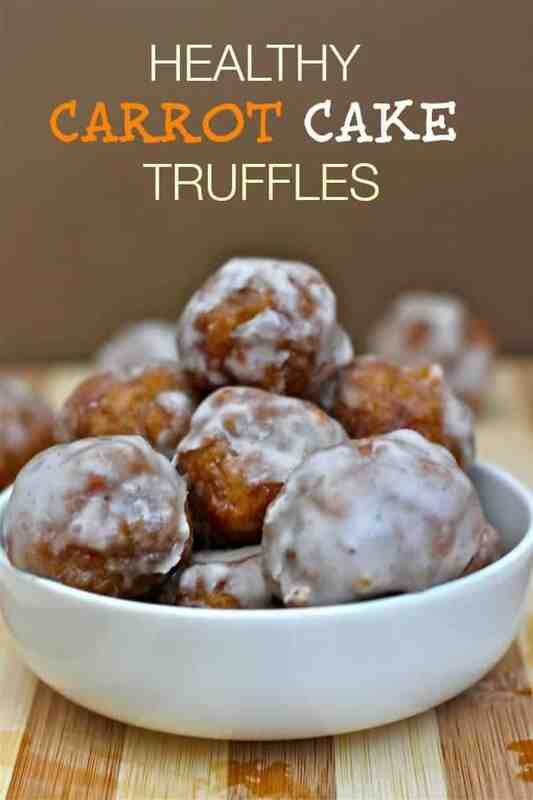 The name of this treat may be a bit misleading, considering that these truffles do not come in a cup. 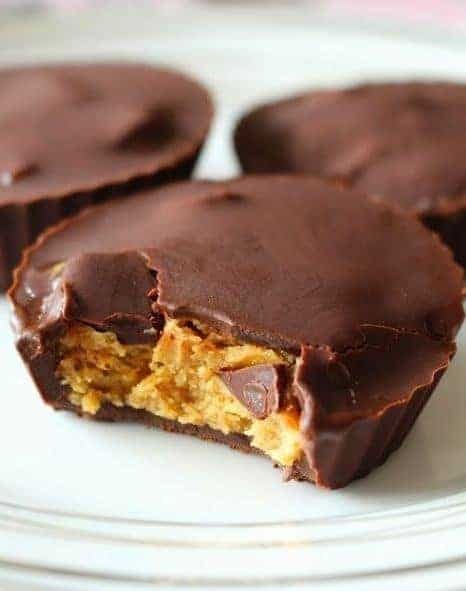 However, this low-carb diet that is high in protein has a taste evocative of many name brand chocolate peanut butter cups available for sale. The major difference is that this snack is packed with nutrients and completely gluten-free. 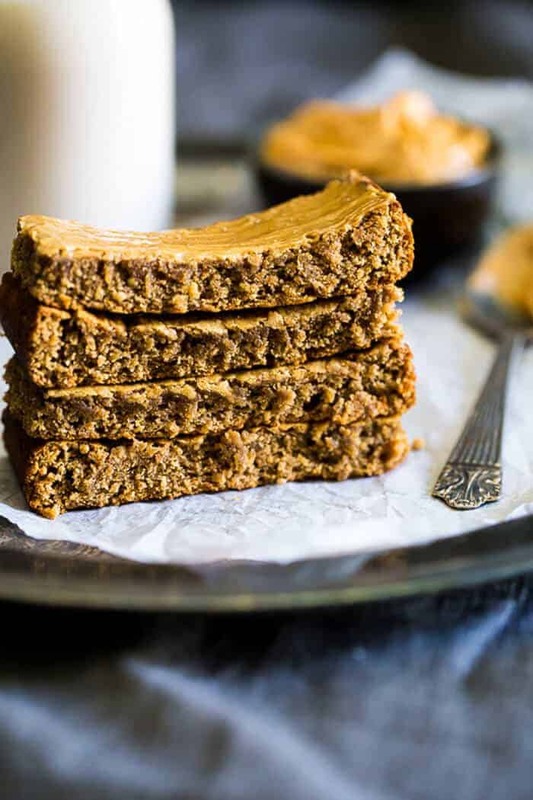 The combination of peanut butter flavored protein powder, coconut oil, honey, and almond milk make this a delicious alternative to those fat filled peanut butter desserts. 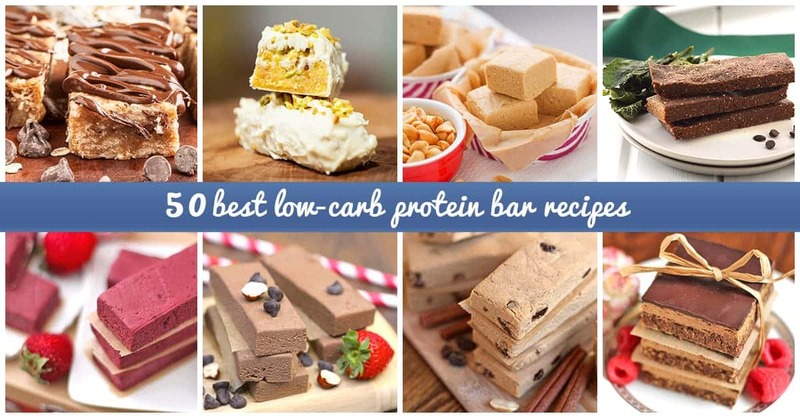 This low-carb protein bar idea involves several natural sources of protein, derived from many unique sources. Among these sources are pistachios and peanuts, although this recipe also involves quite a bit of protein powder and coconut flour. 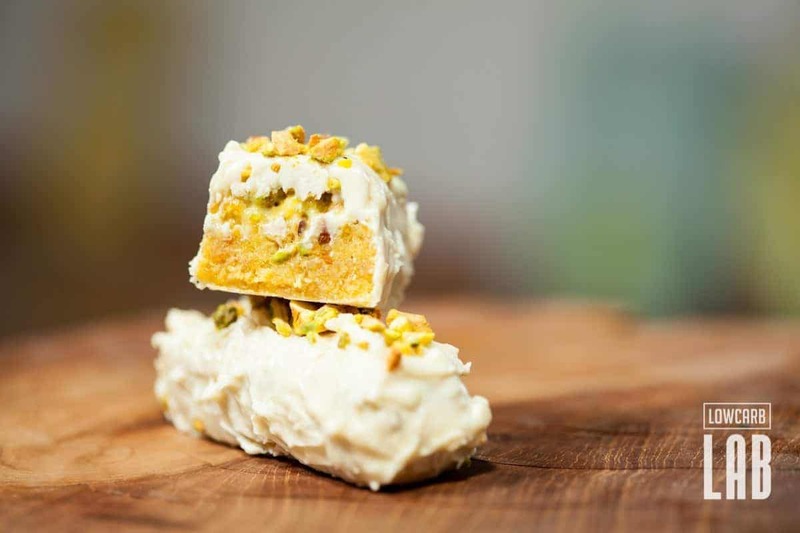 Finally, the addition of sugar-free white chocolate brings out the sweetness in these homemade delicious bars, while also providing a smooth texture to balance out the brittle nuts. 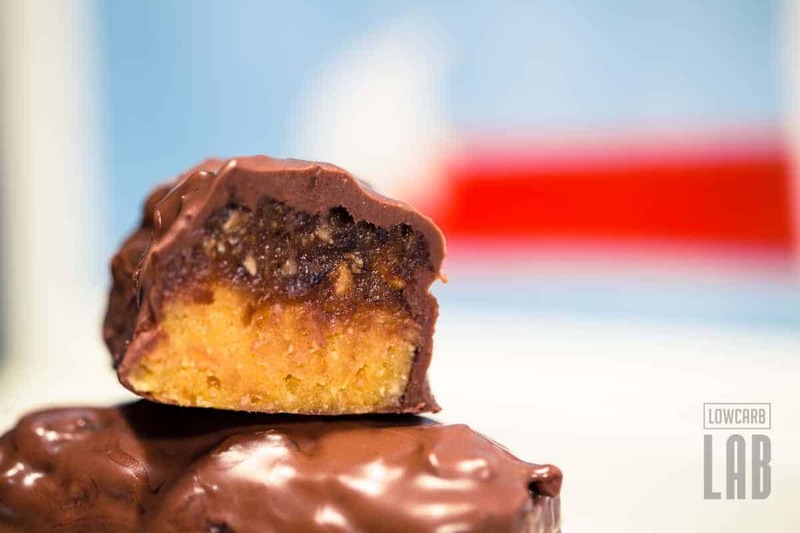 This recipe makes an amazing protein bar that can easily be confused with a candy bar! Carrot cake is a delicious paradox, taking the otherwise bland tasting vegetable and turning it into a dessert that truly takes the cake, Taking an ordinary carrot cake, crumbling it into small balls and using dairy-free cream cheese as a binding agent will form the shape of this low-carb food, but what makes this such a great source of protein is the inclusion of a glaze made from Greek yogurt. Better still, this recipe can be made vegan with the inclusion of dairy-free yogurt, making this one of the low-carb foods for a variety of diets.